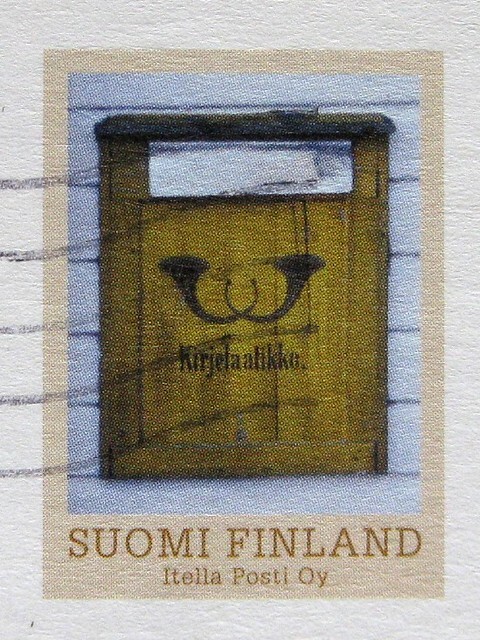 This is FI-1026669, sent to me via Postcrossing from Finland. 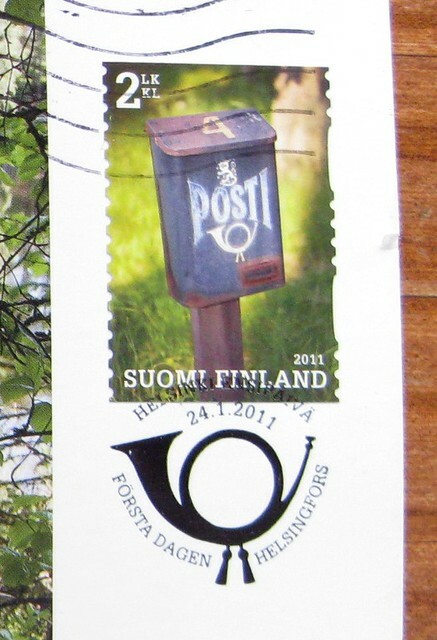 Here's a closer look at that stamp, on the front of the postcard with the mailbox... yay mailboxes! 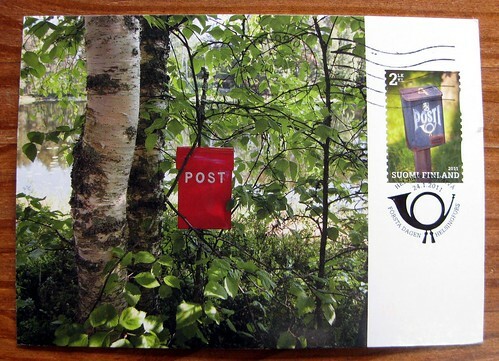 I say in my Postcrossing profile that I love images of mailboxes or mail-related themes. 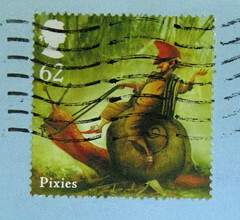 And here's the pre-printed stamp on the back of the postcard. Some Postcrossers DO read profiles and choose something the sender will especially like - and it's such a joy when that happens. Just when you think that postcrossers do not read your profile or even make an attempt to send something you would like, you pull out a really great postcard/stamp/envelope out of your mailbox and go, "Wow!" Chandlerguera: exactly! Don't you love it when that happens?